Yes, it is totally possible for you to get your body back after pregnancy. And since I just gave birth via c-section myself, this is something that I weighing on my mind currently as I am waiting for the green-light from my doctor to start exercising again. Being pregnant and giving birth can be very loosely related to running a very hilly marathon or obstacle course race. They’re all grueling endurance events with a sweet prize at the finish line — whether that’s a gold medal, a personal best, or even better, a brand-new baby. Another factor these physical activities have in common: Your body will be exhausted and worn out afterward, and you may need to take it slowly until you receive the all clear from your doctor. Like after any intense endurance race, your muscles, hips, and internal organs will need some time to recover. That said, it’s not long before new moms start wondering when they can return to exercise. I know I am definitely chomping at the bit to get back into my workout routine! According to Nicole Dorsey, M.S., a Los Angeles-based exercise physiologist who specializes in pregnancy and exercise, picking up your pre-baby activity level slowly (but soon) is a must, as long as your doctor gives the OK. Not only will your heroic return to exercise aid in shedding the baby weight, but consistent exercise boasts a ton of other health benefits for new moms. 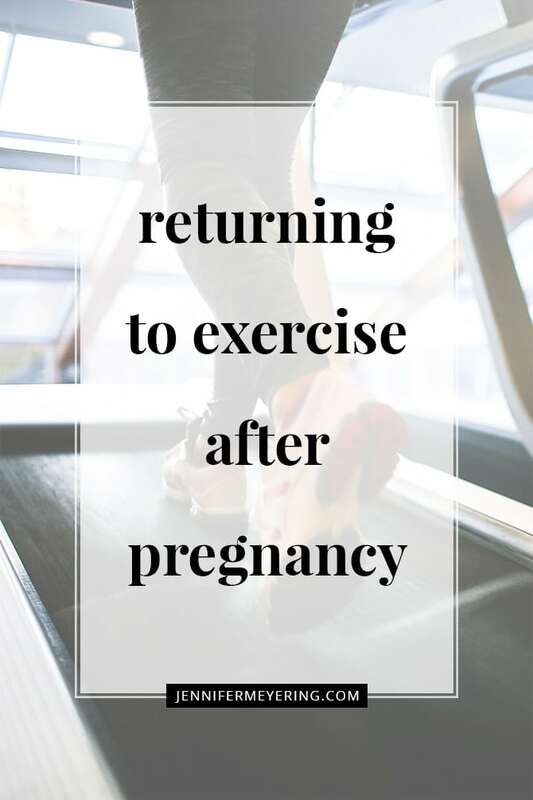 According to the American College of Obstetrics and Gynecology (ACOG), exactly when you can return to exercise postpartum depends on the type of childbirth you had. In the past, the rule of thumb was to wait six weeks before you started a fitness routine. However, ACOG now says that if you had an uncomplicated vaginal delivery, it’s normally fine to start gently exercising a few days after your baby is born, or whenever you feel ready. However, it’s still always best to talk to your doctor about how you feel at any of your post-partum checkups. If you delivered by cesarean section, ask your doctor when it’s safe for you to exercise. A C-section makes things tougher but not impossible, says Dorsey. Returning to fitness after having a baby can be nerve-racking. There’s nothing to feel bad about if you take it slow and tune into your body — you know your strengths and physical weaknesses probably better than anyone else, including your gyno. 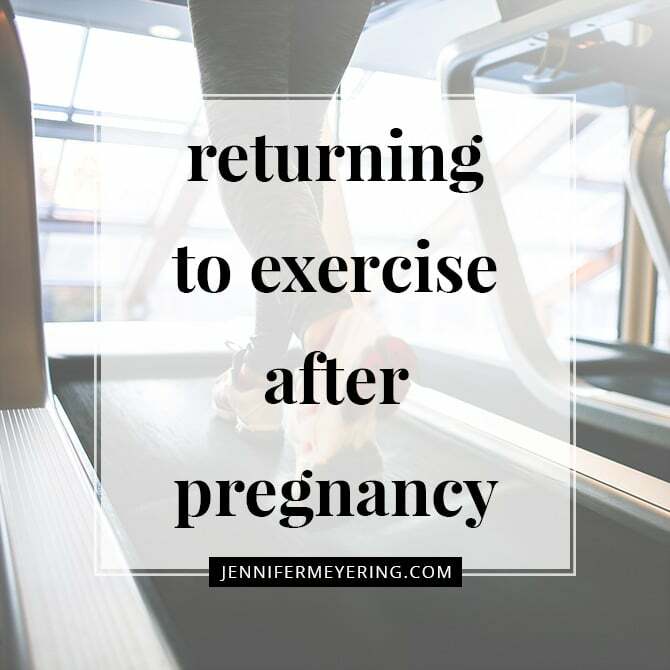 Your return to exercise is normally easier if you were moderately fit and strong during your pregnancy, if you had a natural delivery, and if you maintained a moderate exercise program throughout. Return to exercise slowly. Try 10 minutes at a time, then 15, 20, etc. Gradually increase the intensity and length of your sweat sessions, slowly add resistance to a bike, or incrementally increase the incline if you’re working out on the treadmill. Be reasonable. Don’t initiate a new sport or return to barrel racing or bungee jumping within the first few weeks after having a baby! Be good to yourself and use common sense. Don’t wait until you have childcare to exercise. Rather, pick a workout your baby can be part of. Include your baby by pushing your little one in a stroller, or putting her next to you while you stretch or perform core work. 4. Grab a postnatal friend. Workout buddies are key for accountability. Knowing you have someone counting on you will make you less likely to skip your fitness session. Also, be sure to warm up thoroughly and cool down after every single workout. Drink plenty of fluids before, during, and after exercise to stay hydrated, especially if you’re breastfeeding; your body and your baby both desperately need the added healthy hydration. 6. Be prepared if you’re breastfeeding. According to the Mayo Clinic, some studies have indicated that intense exercise (marathoners were tested) can cause lactic acid to build up in breast milk. This won’t harm your baby, but it may cause the taste of your breast milk to be unpleasant. However, many breastfeeding moms do triathlons and marathons without having their babies refuse their milk, so don’t go looking for trouble! Nursing moms should also wear supportive bras and time their feedings with workout sessions. The Mayo Clinic suggests trying to feed your baby or use a breast pump right before exercising so your body is more comfortable (your breasts will not be so likely to leak) and your mind is more at ease. Most importantly, have patience, and be lenient with yourself. You just ran the most grueling marathon of your life! Not only are you recovering from childbirth, but you’re also dealing with sleep deprivation, changing hormones, and the demands of caring for a newborn. It’s OK if you need to take an extra rest day or cut a workout short. Remember that some exercise is always better than none, and even 10 minutes of moving that beautiful, new body around almost instantly improves the moods of mothers everywhere.